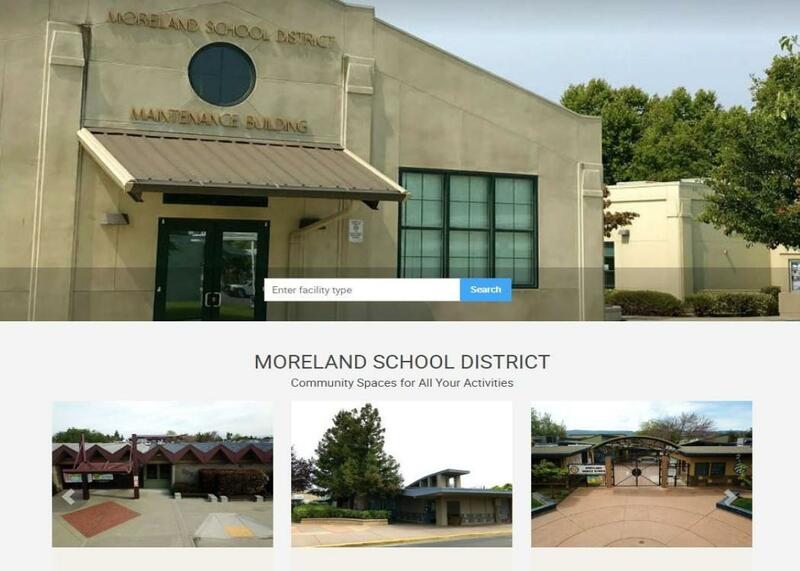 September 7, 2018, San Jose, California: The Moreland School District is pleased to announce a new online facility request and rental system designed to provide a positive user experience for the community. With the new system, reservation requests can be submitted easily and will be handled more efficiently. Renters will be able to access photos and descriptions, see real-time availability, get estimated quotes, and pay online. In partnering with Facilitron, Moreland School District has launched a customer facility use program for the district and each school – allowing facility use requests to be submitted at any time. You can view and request all district facilities at: https://www.facilitron.com/msd95130 (or visit the home page of our website, www.moreland.org. Although the process of requesting/approval/management of facility use is now digital, what is implemented on Facilitron remains the same as dictated by Moreland School District board policies on facility use. Moreland School District’s administrative staff will make final decisions on all facility use requests. This online system will assist with the set-up of organizations and user accounts, including verification of non-profit status (if applicable). Facilitron will also collect payment and proof of insurance (certificate of insurance) on Moreland School District’s behalf. Payments can be submitted conveniently on Facilitron. Payment options include major credit cards, checks, ACH/eCheck, and PayPal. Proof of insurance (certificate of insurance) can also be conveniently uploaded into the system, and/or it can be obtained directly through Facilitron. The new Facilitron system is now live for all sites and can be accessed by visiting www.moreland.org > Facility Rentals. Moving forward, the only way to request use of a district facility is by creating a Facilitron account and submitting a request online. If you need assistance setting up an account and/or submitting a facility use request, you can contact Facilitron directly at: support@facilitron.com, or by calling them at: 800-272-2962 ext. 1. The Moreland School District has a long standing partnership with the community for use of both indoor and outdoor facilities.